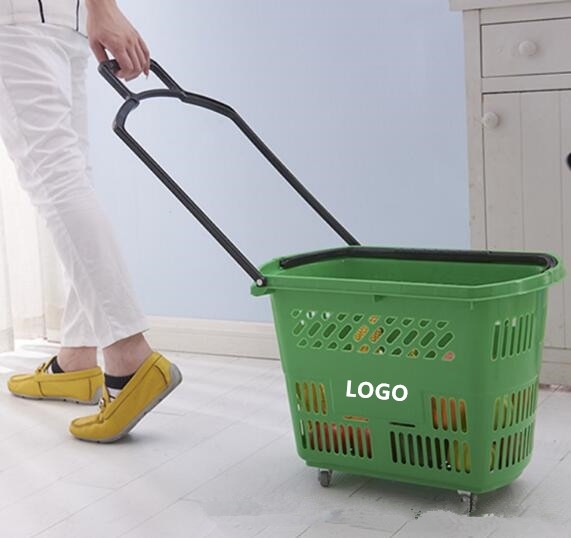 Description: Eco friendly bamboo laundry basket, large imprint area and durable advertising effect. Material: bamboo Color Available: Natural Brown Measurement: 14 1/2' Diam. 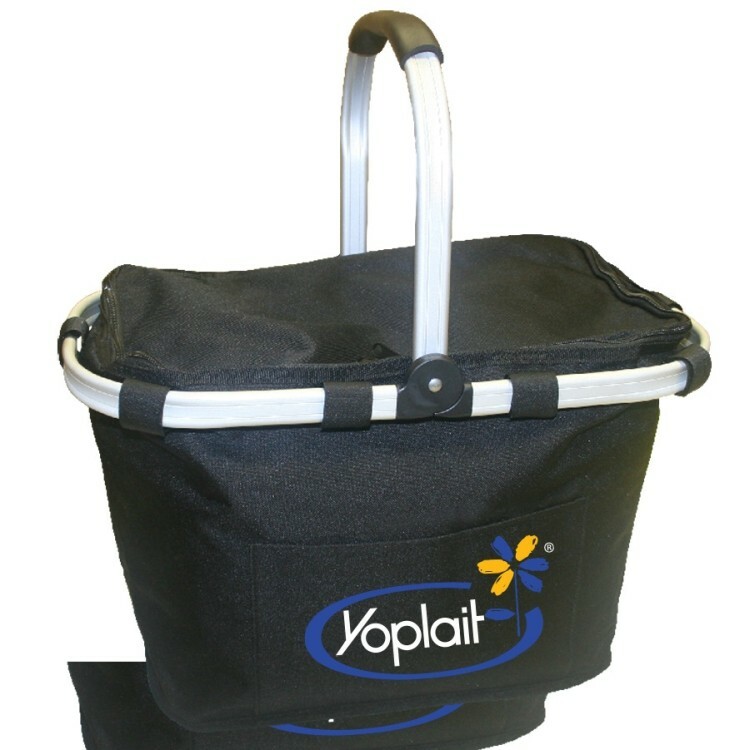 x 22" High (Open) Package: Gift box Imprint Area: 21" x 22" x 3"
Trolley shopping basket made of PP and Aluminum alloy. Retractable rods for easy carrying. With a handle can also be in the hand. Supermarkets, shopping malls, home can be used. This basket is made of high quality polyester. Foldable and very convenient. Suitable at home .Custom logo is available. Great to promote your brand. 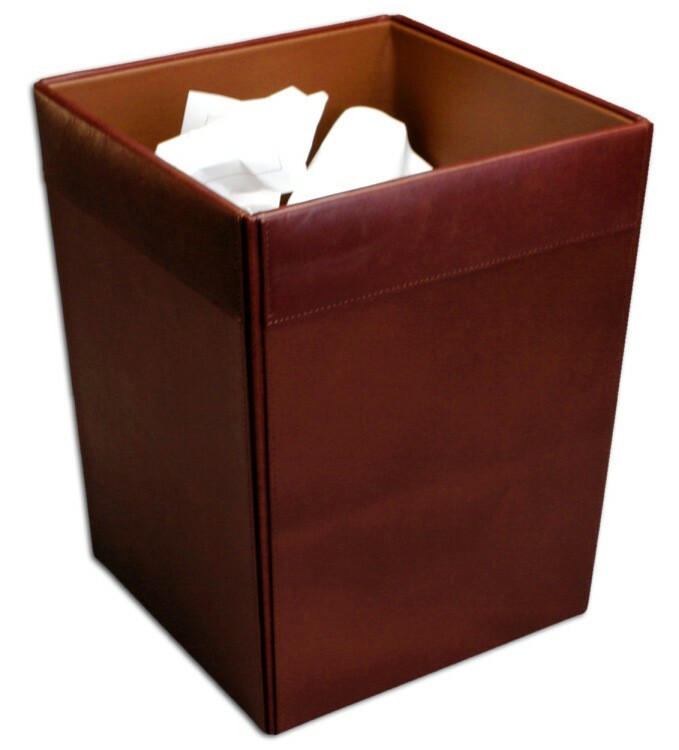 The rustic leather square waste basket features a 16 quart capacity, white accent stitching, leatherette interior lining, protective felt bottom and top grain leather. 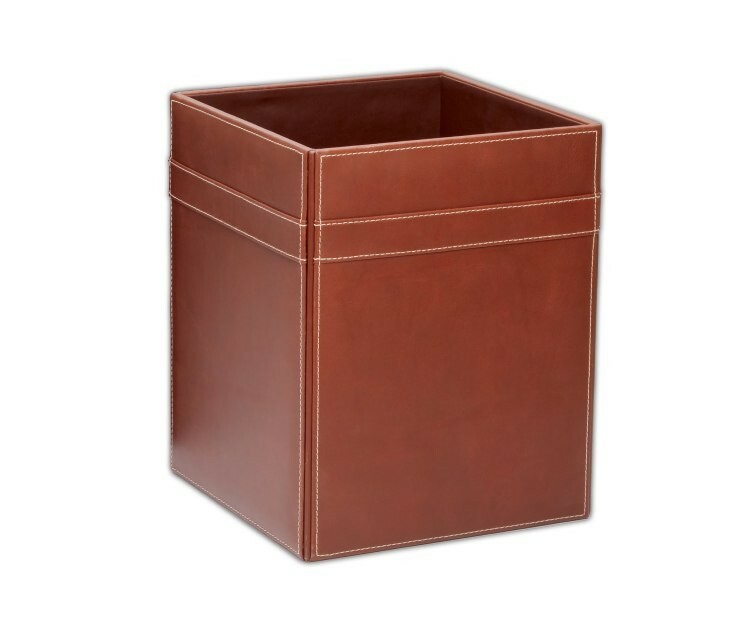 The classic leather square waste basket features a 14 quart capacity, leatherette interior lining, protective felt bottom and top grain leather. 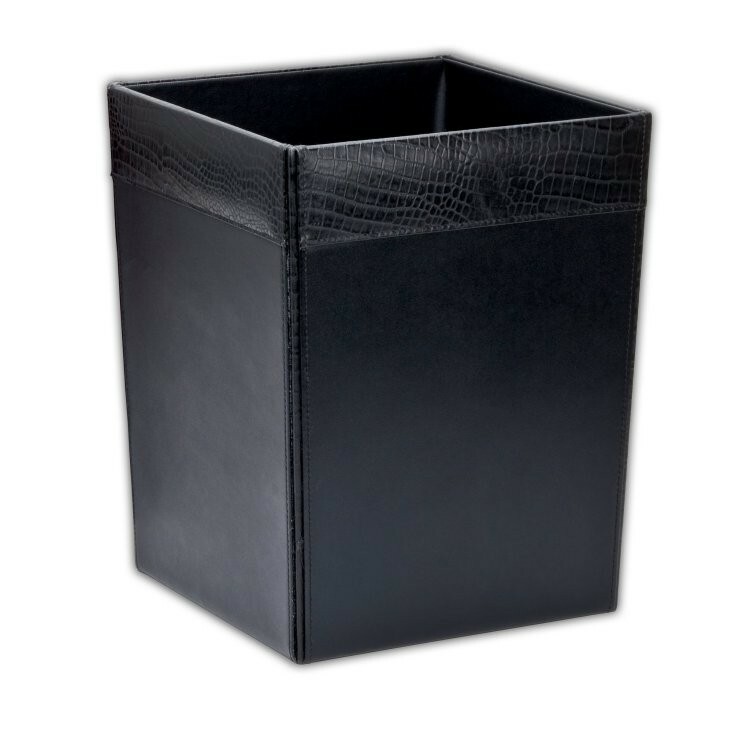 The crocodile embossed leather square waste basket features a 14 quart capacity, leatherette interior lining, protective felt bottom and crocodile embossed top grain leather. 40L Pull rod handle basket made of PP and Aluminum alloy. Retractable rods for easy carrying. With a handle can also be in the hand. Supermarkets, shopping malls, home can be used. 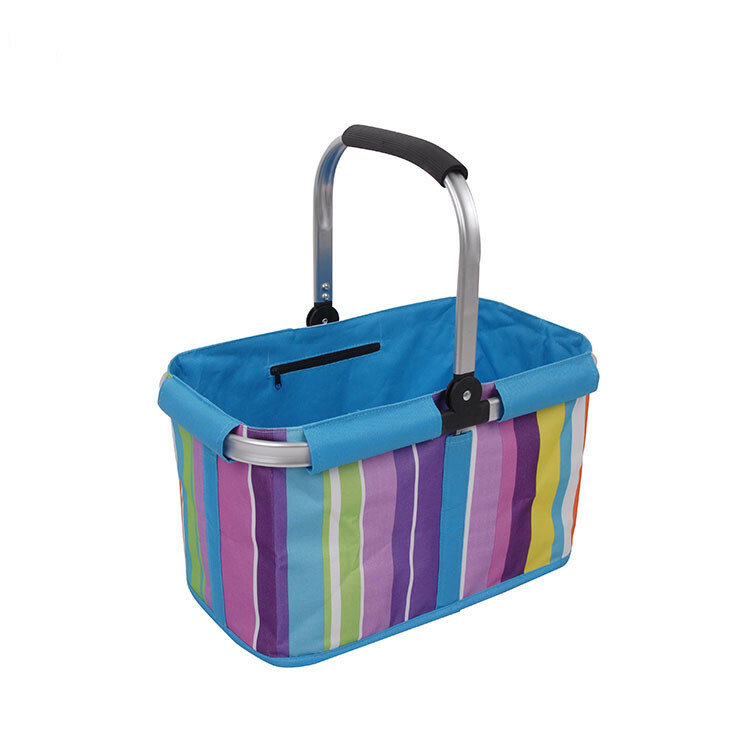 This convertible and portable basket is a great idea for shopping or for picnics! 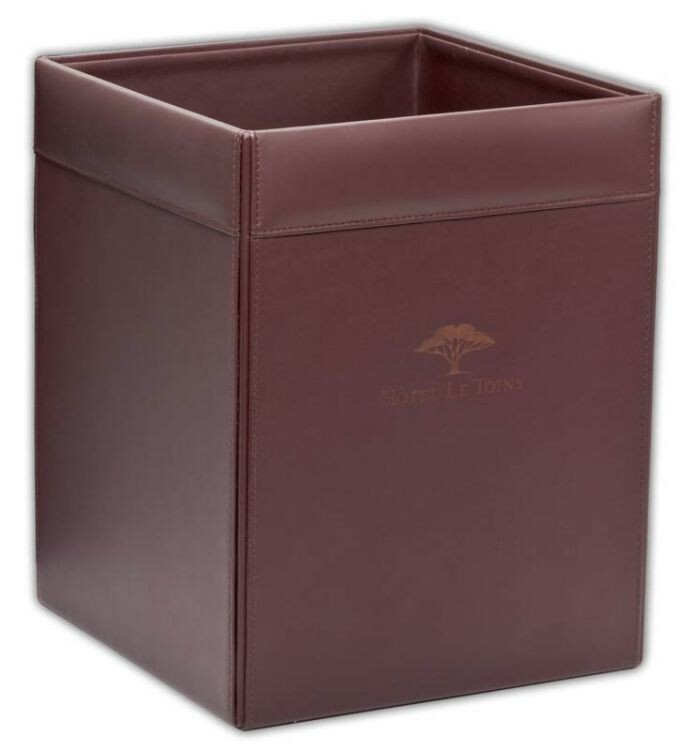 Made from sturdy aluminum frame and oxford cloth can hold up to 50lbs, and can fold flat for convenient storage. Many colors are available. Add your company name or logo to the large imprint area for increased visibility. 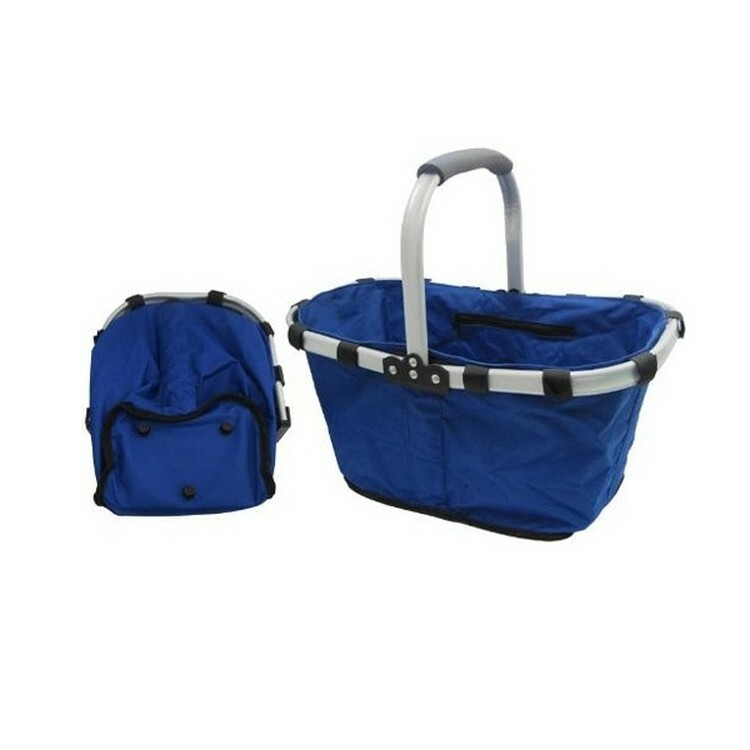 This folding picnic basket is made of aluminum alloy tube and 600D Oxford cloth fabric, strong and durable. It has a rubber grip on the handle as well. It can be folded to carry easily. The inner small zippered pocket makes you convenient for carrying your phone or keys. A tool for picnic and shopping. 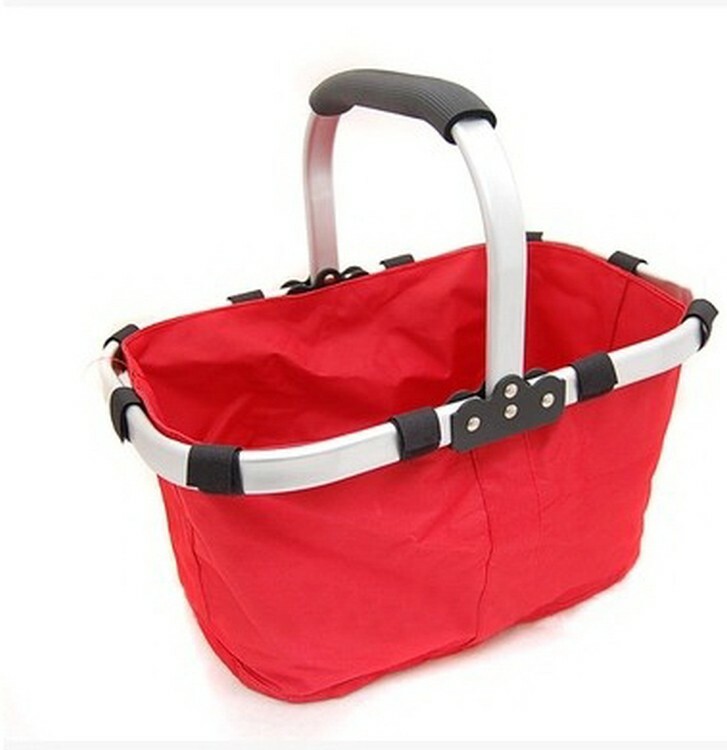 Good quality picnic basket, made of 600D polyester and aluminum. Insulating layer is available. 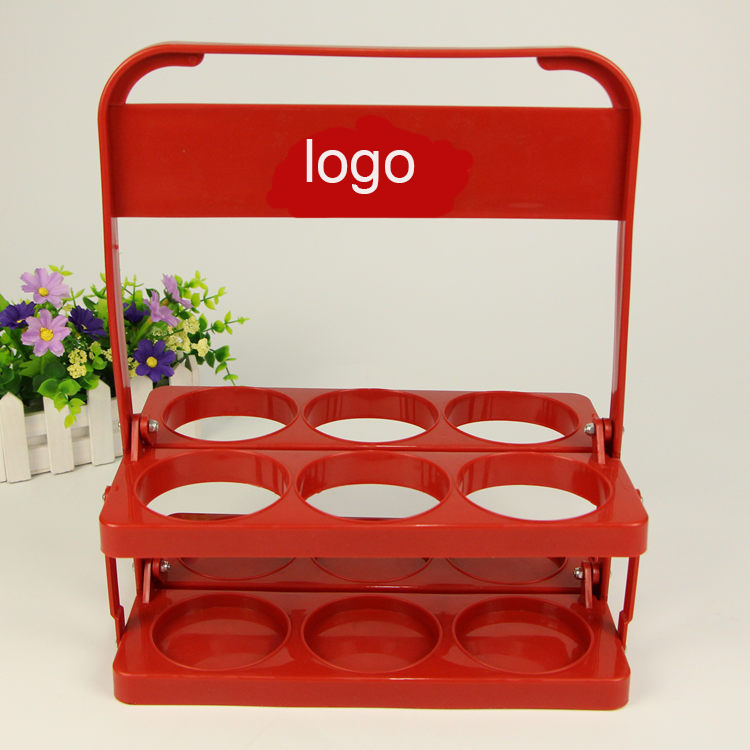 The MOQ of this picnic basket as low as 500pcs. 13-3/4"x17" drawstring backpack made of 200 Denier fabric. 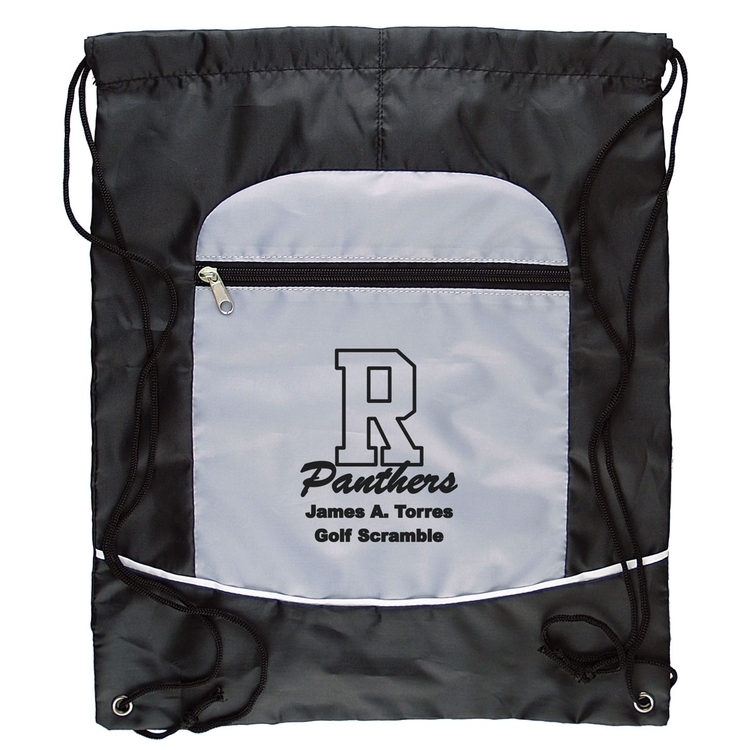 This two-tone bag is great for schools, athletic academics and more. Add your logo or mascot on the accented pocket and show your team spirit. 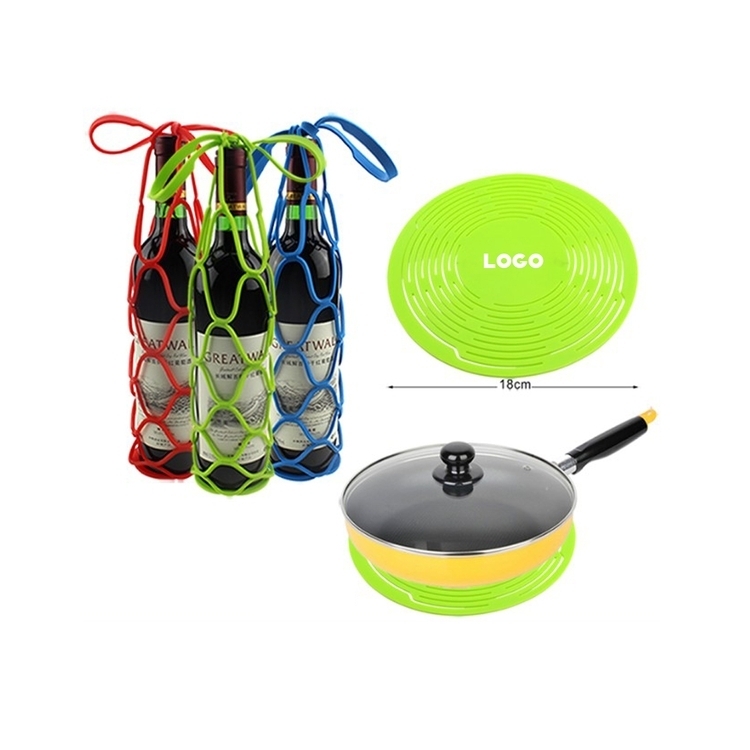 It's made of food-grade silicone material, Multi-purpose, can be applied in addition to red wine bottles, beer bottles, foreign bottles, tea, coffee pots, and other containers of canned fruit basket, but also can be used as pots and pans heat mat, honeycomb mesh design fast cooling, to protect desktops not be burned. 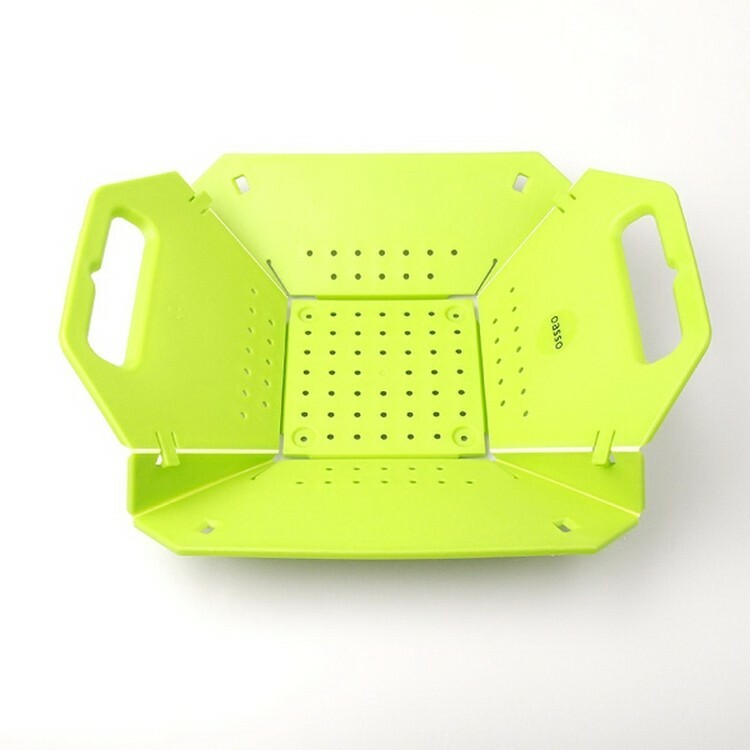 This basket can be used as fruit basket or vegetable basket, easily to drain water when you washing. And can be folded when not using to save space. It's convenient and practical when you driving to picnic. It's also environmental protection, non-toxic, odor-free, easy to clean. Add your company message or logo to this great promotional items for increased visibility. 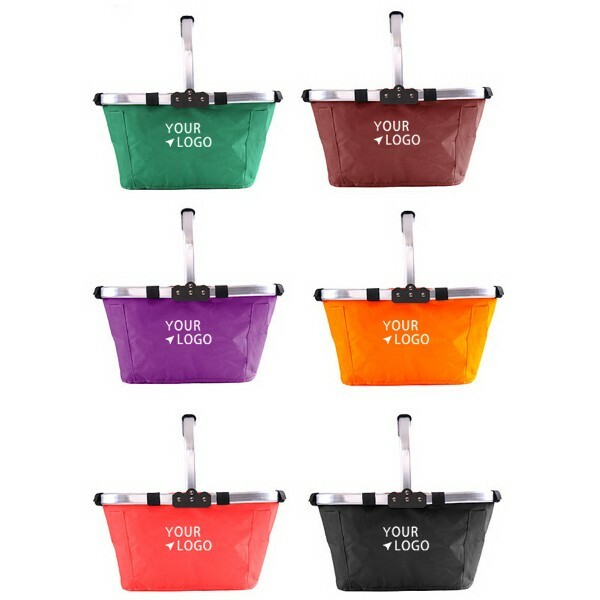 Made of plastic and designed to fold like an accordion into a flat configuration for easier storage when not in use.It is open-air,basket like design includes a sturdy plastic handle at the top.Below the handle is a wide connector where your logo can be imprinted. This is made of oxford cloth. Material is absolutely environment-friendly. The size is 15. 8"X11"9. 84". It can be folded for saving space and easy to carry. Suitable for camping,picnic and travel. Color, size, style are customized according to your requirement. 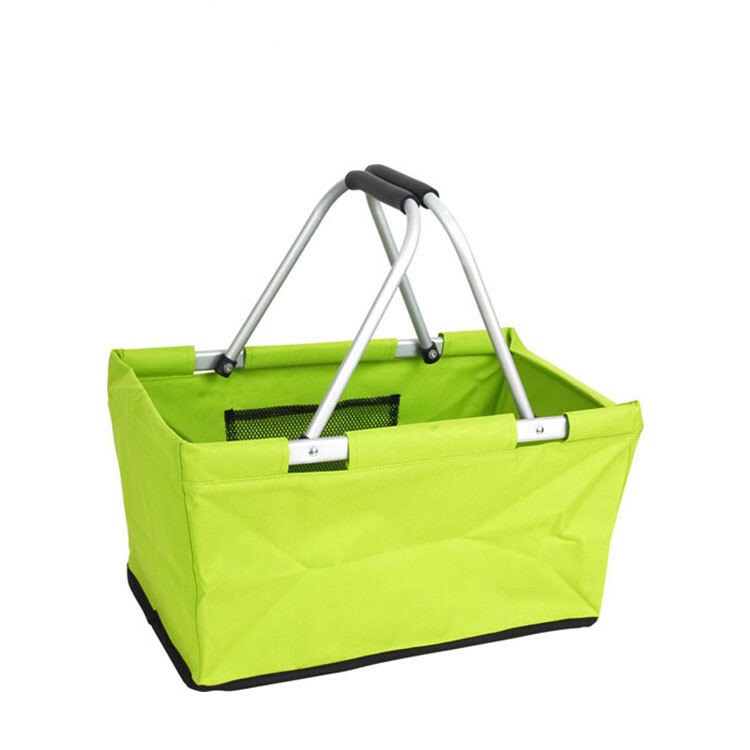 This basket with folding, waterproof and aluminum alloy advantage. It can be used in shopping, storage, picnic and outdoor activities. Imprint your logo makes it as a good promotion item. 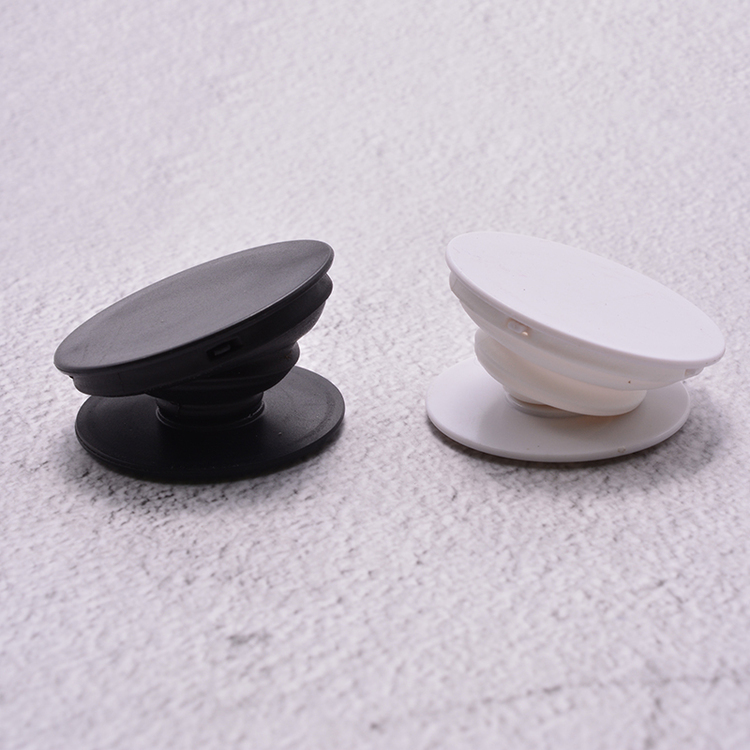 Popular phone holder pop-socket can be any kinds of logo. 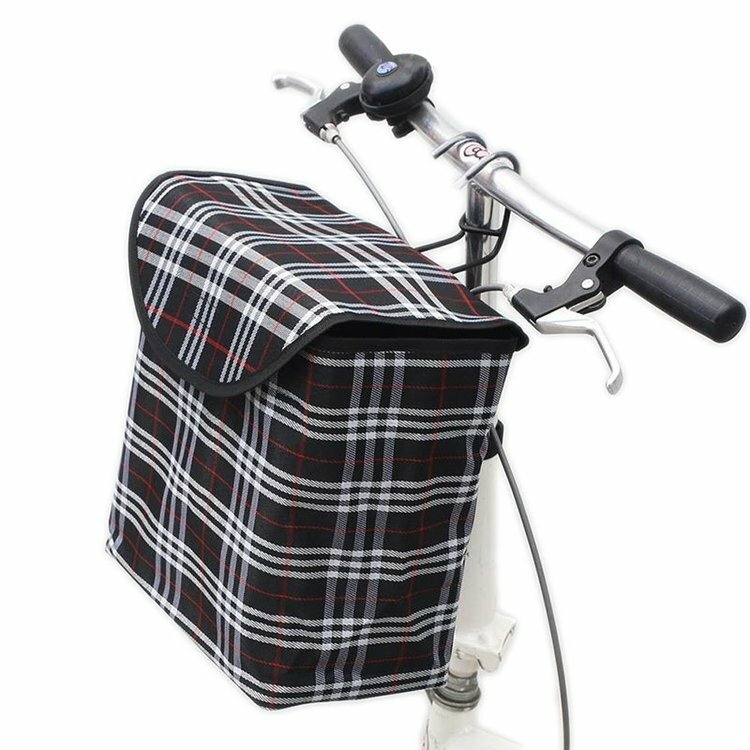 The Bike Basket is made of metal and canvas.Waterproof,detachable and Portable, it is easy to install and remove. 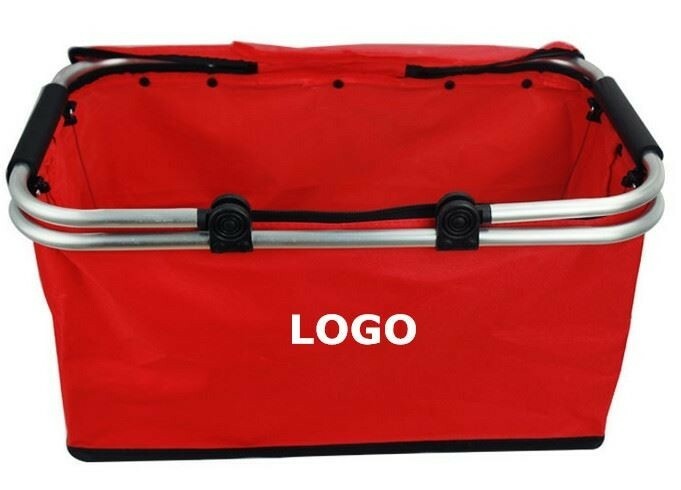 It hooks on the the handlebars at the top and is secured to the tube with a velcro loop at the bottom, and the basket you can directly down alone when needed to allow for convenient storage.Custom logo can be imprinted with all colors. 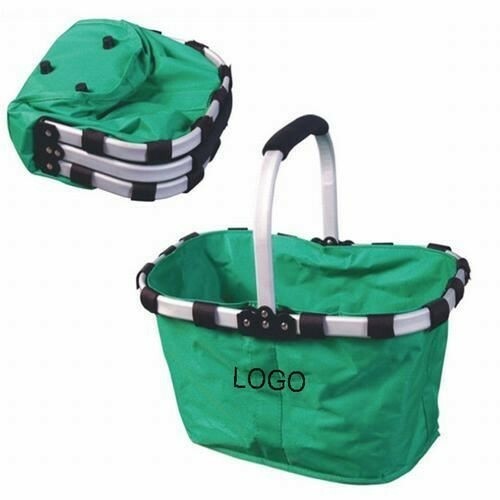 600 Denier Collapsible Basket with an aluminum handle. W13"x17-1/2"x5". 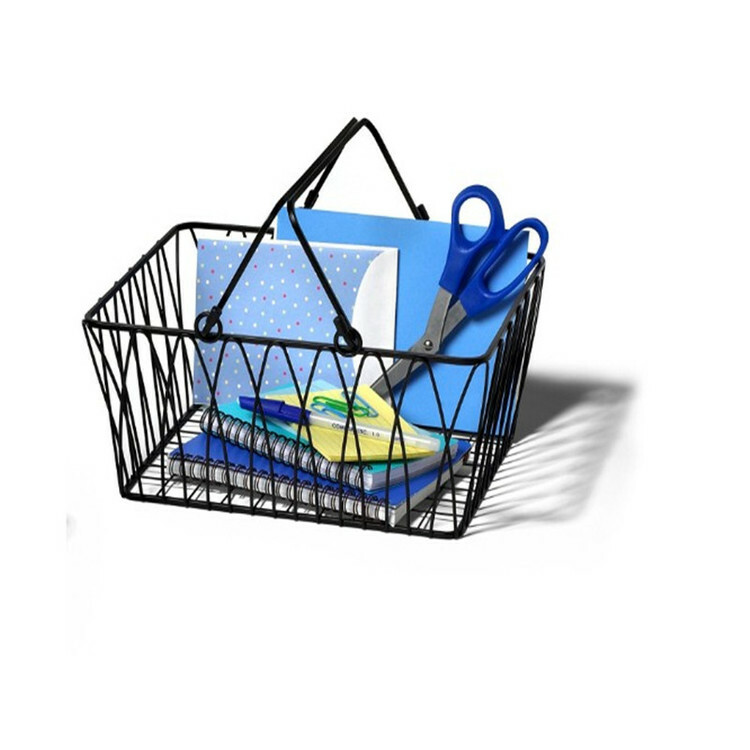 A space saving reusable basket. Great for grocery stores, market places and home improvement centers. When not in use, just collapse it and store it away. Insulated Liner For The Portable Diner Aluminum frame insulated picnic basket and carry handle. Features foam padding on handle. 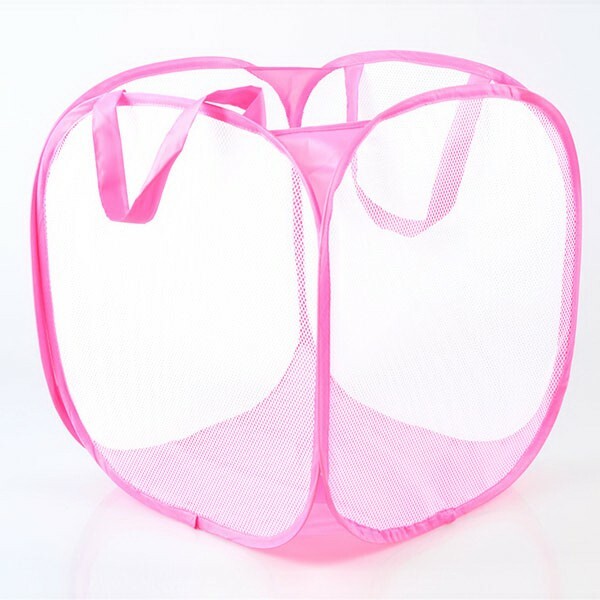 Frame is detachable for easier cleaning and folds flat for easy storage. Insulating, easy-clean foil liner and zipper closure on lid. Made of 600D polyester. 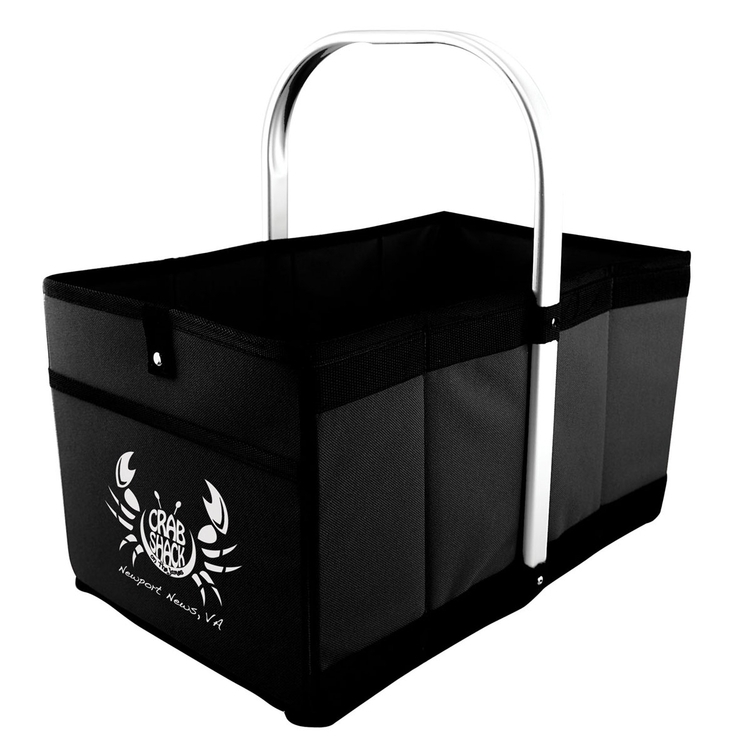 Features flap on back to secure to handles of rolling coolers for a full picnic set. The foil, insulated lining put this in the cooler category, but this versatile carrier is as at home at the Market as it is on a blanket in the park. 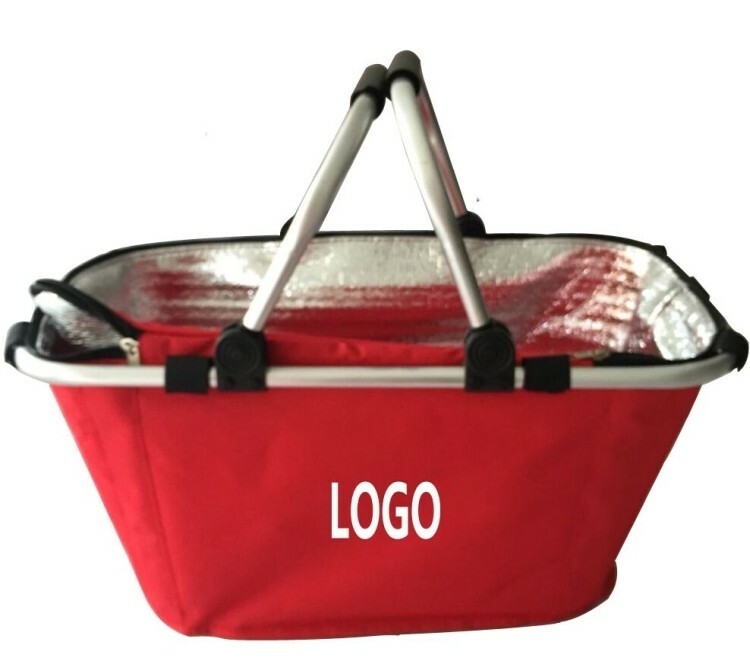 Its aluminum frame and handle and oversized body can fold flat for easy storage between uses. Zippered top, front pocket and Pullman loop on back make it the best of its kind. 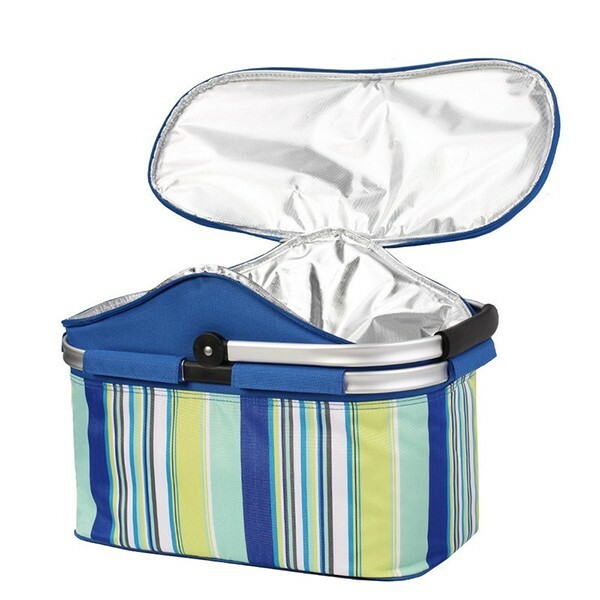 Pair it with a matching rolling cooler and blanket for the ultimate picnic set! Trash Can Set is made of plastics. 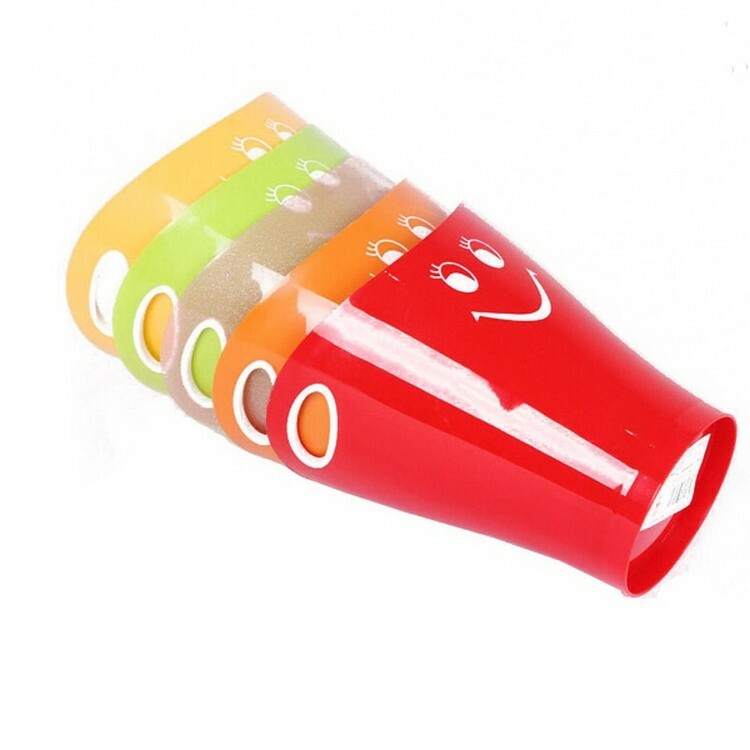 It is expertly designed, small and good looking, the design is good for gift and can print your logo. It is widely used in desk. Overseas, price include the freight charge. This is made of oxford cloth.Material is absolutely environment-friendly.The size is 17"X10.6"X9.45".It can be folded for saving space and easy to carry.Suitable for camping,picnic and travel.Color, size, style are customized according to your requirement. It is made of plastic and designed to fold like an accordion into a flat configuration for easier storage when not in use. 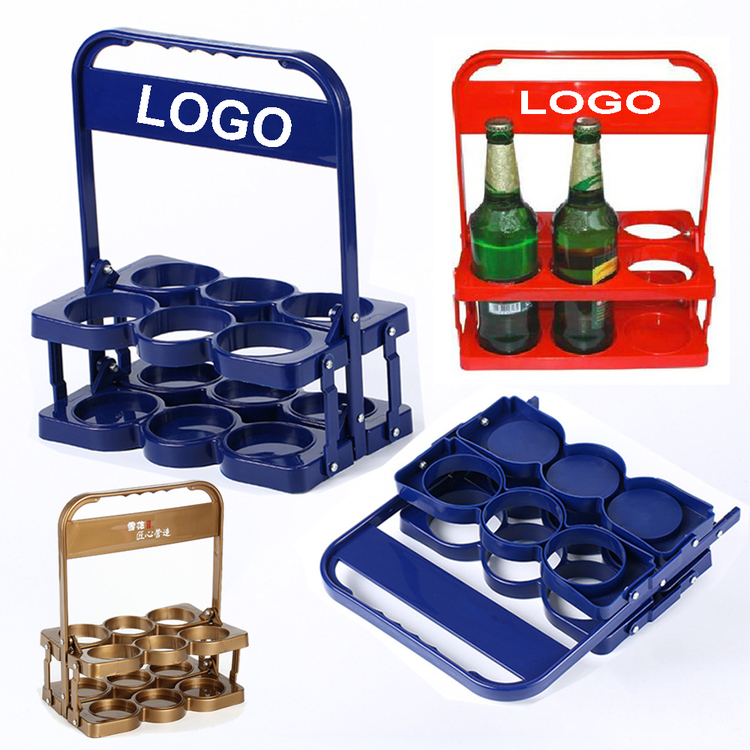 When the unit is unfolded, it's powerful design is unleashed as it transforms into a sturdy unit for carrying up to six bottles or cans. 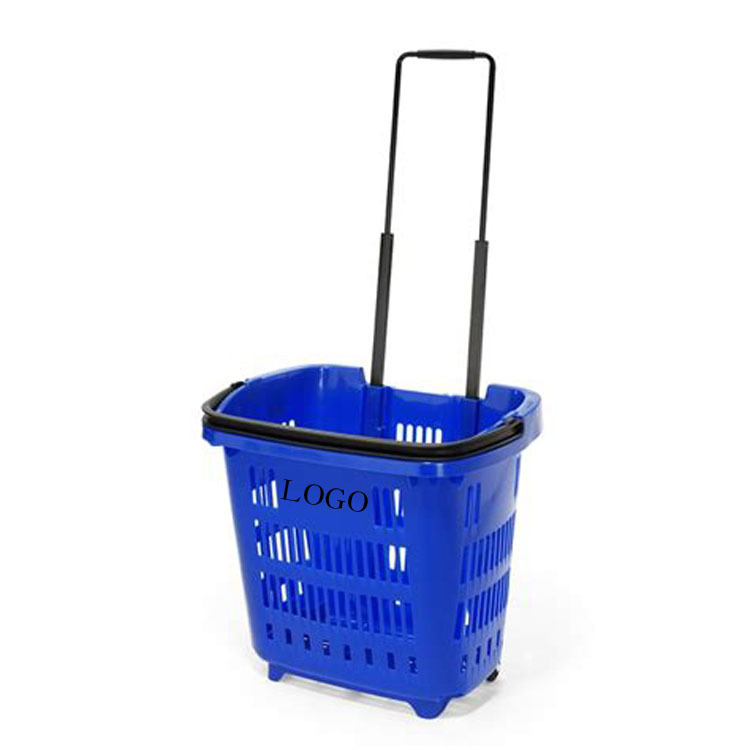 It is open-air, the basket-like design includes a sturdy plastic handle at the top. Below the handle is a wide connector where your logo can be imprinted. 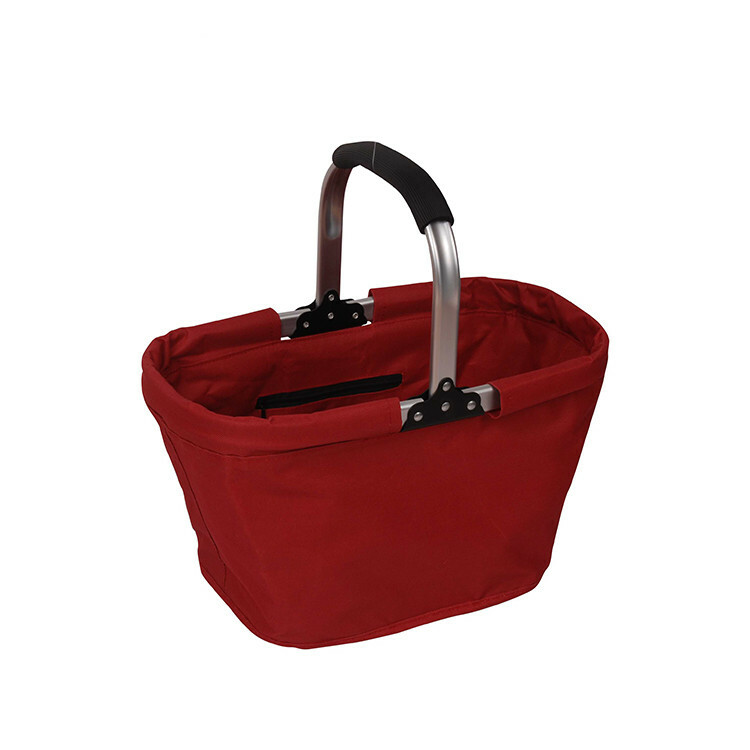 The basket is make by oxford fabric and aluminum, it is eco-friendly, also can be fold and easy to take along. 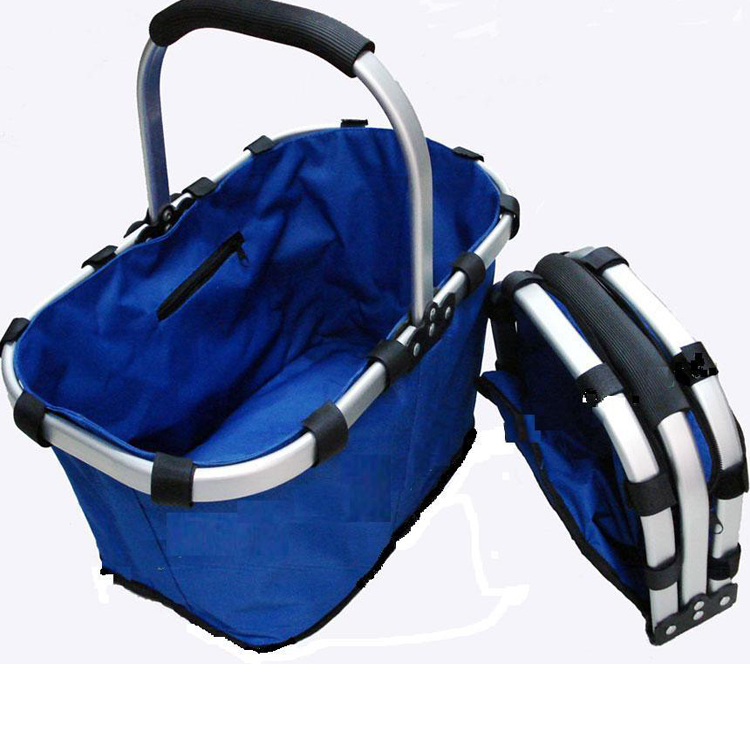 Maximum weight can reach to 18kgs, perfect for shopping and picnic. Several common colors to choose from and logo can be customized.